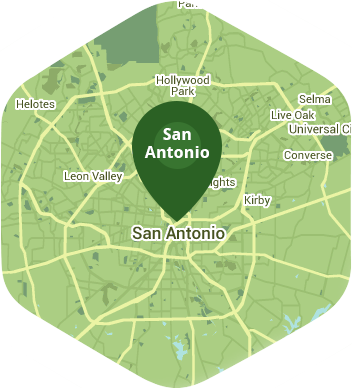 Book a skilled lawn pro in Seguin. Backed by a total satisfaction guarantee and amazing customer support. Seguin is one of those rare places that is just a stone's throw from a major metropolitan city and all it has to offer, yet far enough away to maintain a small-town feel. When you get home from work at the end of the day the last thing on your mind is lawn care and maintenance, yet there is it - begging to be done. If you spend your week driving back and forth to San Antonio and wish you could reclaim a bit more of your spare time outside of your commute, then you need to find out more about Lawn Love. Lawn Love is a full-service lawn care company. Our bonded and insured lawn care technicians want to help you to create and maintain the vision you have for your lawn. Whether your lawn needs mowing, weeding, seeding, trimming or even just clean up, Lawn Love is here to make it happen. So, if you want to reclaim a little more of your free time, call Lawn Love today at 210-802-4223 and take advantage of our free, fast and easy two-minute quote ! Rated 4.76 / 5 stars in 7,296 Seguin customer reviews. There won't be any rain in Seguin today, which means you'll probably have to water your lawn. Dusk and dawn are the best times to water your lawn (the sun will rise at 7:00 AM and set at 8:01 PM today in Seguin). Here are some average lawn care prices for homes in Seguin. Average lawn size 3,846 sq. ft.